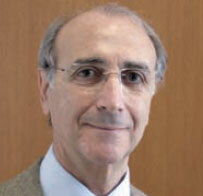 Luigi Chieco-Bianchi is presently Professor Emeritus on Oncology at the Faculty of Medicine, University of Padova, Italy. He graduated in Medicine with honorem at the University of Bari in 1957 and completed his training in Pathological Anatomy at University of Bari in 1960. In 1965 he moved to Univeristy of Padova as Assistant Professor in Pathological Anatomy, and was appointed in 1975 as Full Professor to the Chair of Oncology, a position he held until his retirement in 2005. Professor Chieco-Bianchi has been Director of the Post-graduate School in Oncology and Coordinator of the Doctorat Program in Oncology, University of Padova. As research fellow and visiting scientist he has worked in various prestigious institutions, namely Laboratoire de Gènètique, Institut du Radium-Fondation Curie, Paris (1958-59), Institut fur Krebsforschung, Deutsche Akademie der Wissenschaften, Berlin-Buch(1961),Dept. of Cell Biology, Weizmann Institute, Rehovoth (1963-64),National Cancer Institute, Bethesda (1973), Labs of Membrane Biology, Imperial Cancer Research Fund, London (1980), Dept. of Cancer Biology, School of Public Health, Harvard University, Boston (1993). Professor Chieco-Bianchi has been president of the International Association for Comparative Research on Leukemia and Related Diseases, of the Italian Cooperative Group on Immunology, and of the Italian Society of Cancerology; he has been member of the Scientific Council of the International Agency for Research on Cancer, Lyon, and member of the steering committee of the European Cancer Research Managers Forum, Brussels. Prof Chieco-Bianchi 's research interests initially focused on the interplay between the host immune response and oncogenic mammalian retroviruses in experimental in vitro and in vivo mouse systems; in particular, he found that induced or innate immunological tolerance with deletion of antigen-specific T cell clones critically increases the tumorigenic potential of leukemia and sarcoma retroviruses. Prof. Chieco-Bianchi and his research group subsequently moved on to study the molecular biology of human oncogenic viruses. His current efforts are aimed at unravelling the mechanisms underlying the development of AIDS-associated tumors and the transforming capacity of human T cell leukemia virus type 1. This research is complemented by studies of the molecular epidemiology of human papillomavirus and human herpesvirus-8 and investigations targeted at identifying genetic and epigenetic alterations that drive neoplastic transformation and metastasis.